HUNGER DOESN'T TAKE A VACATION! During the summer months, the need for emergency food often increases. Currently our food pantry is running low on many items. We are having great difficulty meeting the increasing needs of those we serve. 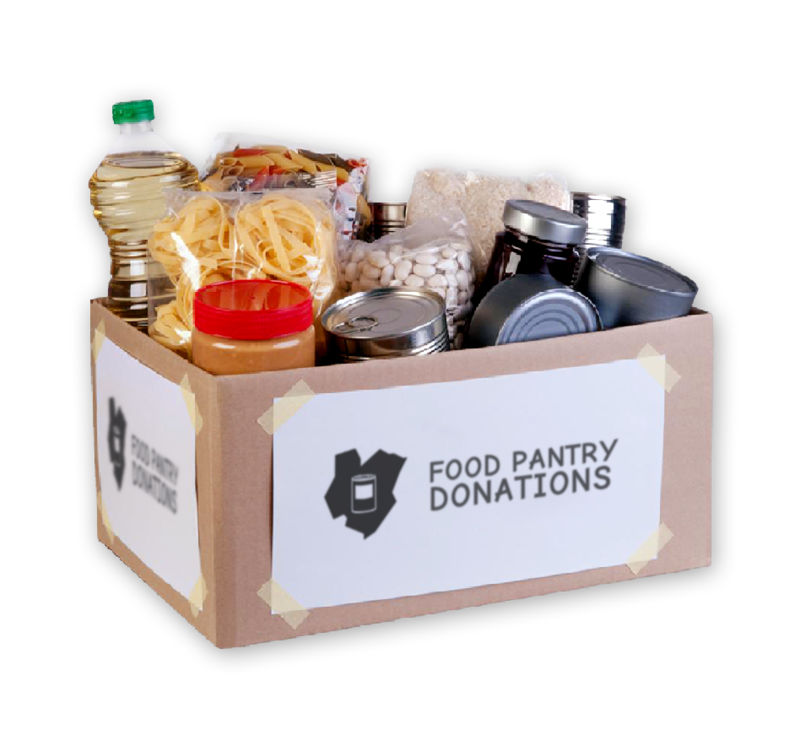 Please help replenish the supply of food at the county distribution site and guarantee that area residents with disabilities and their families have access to nutritious foods and necessities. Tuna fish, cereal, macaroni & cheese, condensed milk, canned meat, pastas, peanut butter, jelly, vegetables, stew, brown rice, fruits, paper products, toiletries & baby supplies (soap, shampoo, toothpaste, diapers and wipes). (Canned and packaged goods only, NO glass or perishable items). Click here for more healthy suggestions. Your anticipated contribution to help ensure that we have a constant supply of these much needed food items to see us through the summer months. Posted on July 17, 2018 by Brian Mazzarella and filed under Donate. ACI needs your help in stocking our food pantry! Our small food pantry assists people with disabilities in the Edison area. Please help by dropping off non-perishable items to the ACI office (on the first floor) at 629 Amboy Avenue, Edison, NJ. NOTE: Please check your expiration dates as we can not accept expired food. Click here for ideas about healthy foods to donate. Posted on June 5, 2018 by Brian Mazzarella and filed under Donate. ACI received 120 toys for our annual holiday toy drive! 19 families and 60 individuals were provided with toys for the holidays. Thank you to Guaranteed Rate Mortgage, Joy's Dance House, Freehold Buick GMC and the many individuals who helped donate to the toy drive! Thanks also goes out to ACI staff and volunteers for wrapping all of the gifts! Posted on January 2, 2018 by Brian Mazzarella and filed under Donate. Win New Jersey Devils Tickets from ACI! Win 6 lower level tickets to an upcoming NJ Devils home game at the Prudential Center (valued at 200)! Raffle tickets are $25 each by Paypal, cash or check (Send all checks to ACI, 629 Amboy Ave, Edison, NJ 08837. MEMO: NJ Devils Raffle). Proceeds will benefit ACI. The winner will be able to choose any NJ Devils home game during the remainder of the 2016-17 season! (Subject to availability. NY Rangers games excluded.) Drawing will be held on March 10th. UPDATE: Congrats to Emily Wagner for winning our NJ Devils raffle!!! Thank you to everyone who played! Posted on February 17, 2017 by Brian Mazzarella and filed under Donate.